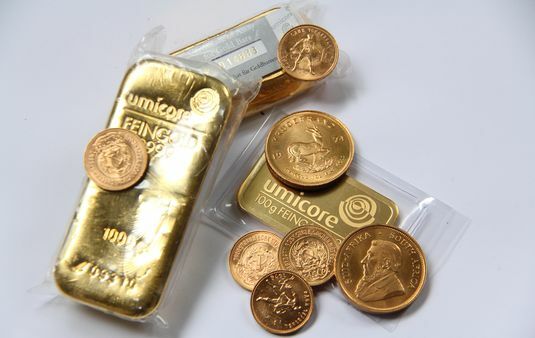 Gold and silver bars, classic gold and silver coins, investment coins such as the Krugerrand, Maple Leaf, American Eagle or Vienna Philharmonic – we offer the highest prices when buying, selling or accepting bars and coins as loan collateral in our pawn shops. Receiving a short-term loan using gold bars and coins as collateral is a great alternative to selling, especially now while the price of gold continues to climb. Pawning bars and coins for a short period enables you to continue benefiting from the increasing price of gold. The bars and coins remain your property, and you even profit from the increase in value between the time of pawning and redeeming a pledge. If you feel the price of gold is stagnant or starting to decline, you can choose to sell your bars and coins to us. We buy gold and silver bars, gold and silver coins and this is safe and reliable, totally up-front because our prices are published daily on our website. Our prices are based on the internal value of your precious metal possessions, namely the percentage of gold. In addition to selling or pawning gold and silver bars and coins, we’ve expanded our services so you can now also add to your assets by purchasing gold and silver bars, coins at very reasonable prices. Our investment coin sales start with the popular 100-€ Gold Bullion from Germany. The greatest possible amount of certainty by purchasing on site at our pawn shop on Mommsenstrasse in Berlin-Charlottenburg where you can personally evaluate the genuine nature of the bars and coins. You don’t risk having the bars and coins sent by mail. And you’ll receive a proper receipt for the purchase. Buy bars and coins for a great price from reliable experts – specializing in valuables since 1890.